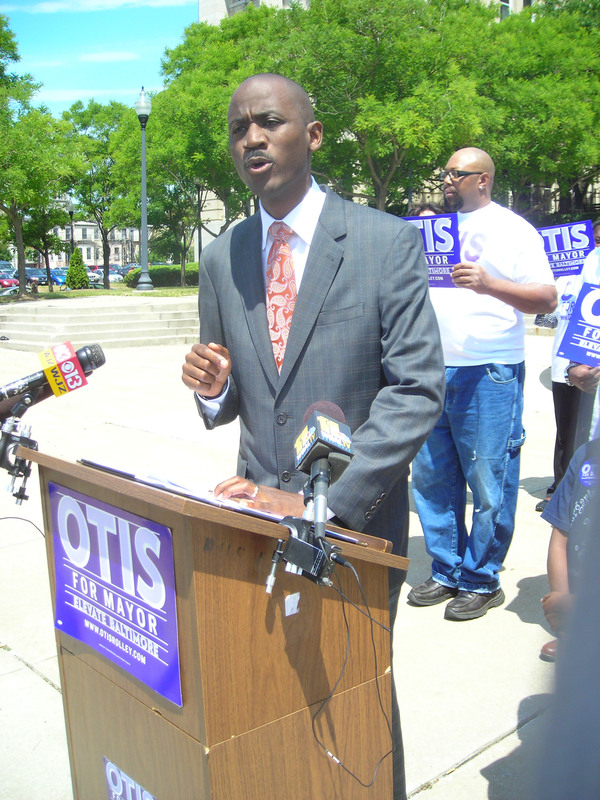 Otis Rolley is trying to shake things up in his bid to succeed Stephanie Rawlings-Blake as the next mayor of Baltimore. During a June 13 press conference outside public school headquarters on North Avenue, Rolley said he wanted to close the city’s five worst-performing middle schools and give $10,000 education vouchers to the affected students. The vouchers could be used at Catholic and other nonpublic middle schools in Baltimore. (See The Catholic Review story here). During the news conference, I asked Rolley what he thought about the contributions made by Catholic schools in the city. I was impressed that the former Baltimore City director of planning viewed Catholic schools as allies – not enemies – in the common goal of educating children. That’s a sentiment that’s not always popular in some education circles – although Dr. Andres Alonso, current Baltimore public schools CEO, has gained kudos from Catholic school leaders for keeping lines of communication open between the systems and for serving on Archbishop Edwin F. O’Brien’s Blue Ribbon Commission on Catholic education. Rolley’s plan isn’t perfect, and there are still a lot of unanswered questions. Pamela Sanders, principal of St. Ambrose School in Park Heights, pointed out that it will face stiff opposition from teachers unions and others. Rolley will also have legal issues to overcome in appropriating $25 million from the city schools’ budget for the voucher program. Ellen Robertson, associate director for education with the Maryland Catholic Conference, said there might be some challenges with the candidate’s requirement that enrolled children maintain a consistent level of achievement to be eligible for vouchers. Yet, as both Sanders and Robertson pointed out, it’s a step in the right direction for a candidate to put vouchers squarely on the line for public debate. Catholic schools in the city have consistently produced students who go on to earn college degrees and become productive citizens. Yet, because of increased expenses and declining enrollment, they have struggled to stay open in recent years. Vouchers could be a way of bolstering Catholic schools, while also improving educational opportunities for kids stuck in underperforming public schools. It will be interesting to see whether Rolley’s proposal gains any traction. In the coming months, The Catholic Review will followup on the plan and explore where the other candidates stand. Rolley deserves credit for including Catholic and nonpublic schools in his vision for making Baltimore a better place. Oh, oh, oh — C’mon O-rioles! After spending more than a decade in the baseball wilderness, long-suffering fans of the Baltimore Orioles have reason for hope on this Opening Day. When the O’s take on Tampa tonight in Florida, they’ll do it with a solid lineup stocked with sluggers like ﻿Vladimir Guerrero, Derrek Lee, Nick Markakis, Adam Jones, Luke Scott, Brian Roberts and Mark Reynolds. They’ll have promising pitchers, and – perhaps most importantly, a hard-driving leader in Buck Showalter who proved last year how much he can get out of his players. 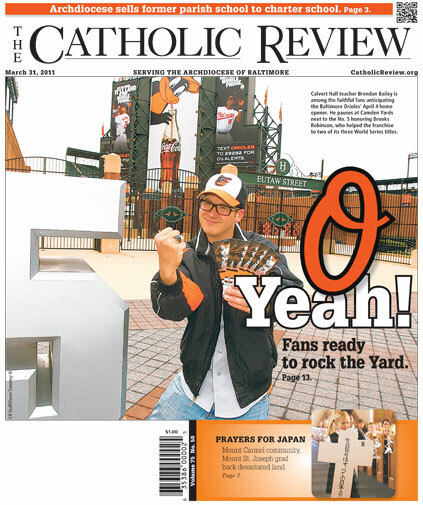 In this week’s Catholic Review, my good friend Matt Palmer has a cover story about the high hopes of O’s fans this year. You’ll want to check it out here. 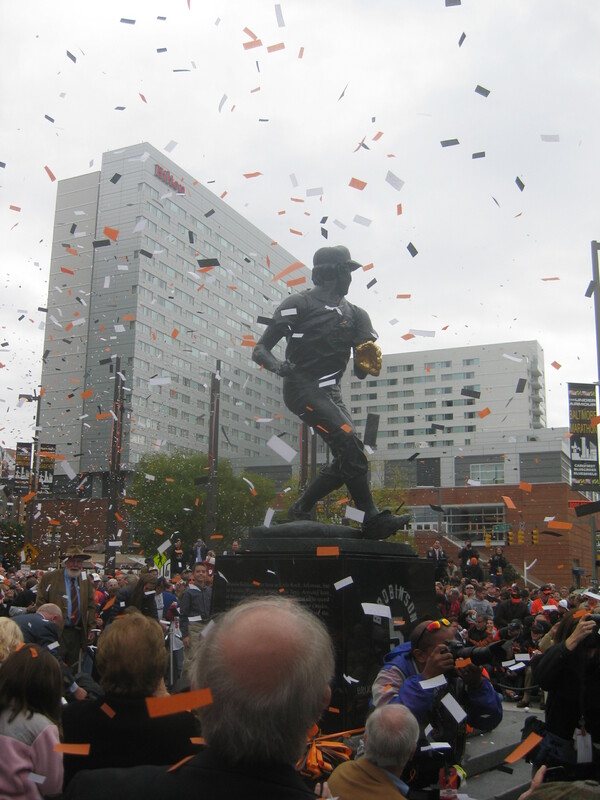 Also, a day after the O’s legendary Hall of Famer Brooks Robinson was admitted to the hospital, you might also want to look at this story I did last year on the great third baseman’s Catholic faith and how it helps him with his health challenges. 1997 was the last time the O’s had a winning season, when they went wire-to-wire in the American League East. It’s time the Birds got back in the game. I know this season ticket holder is as about excited as you can get. Let’s go O’s! 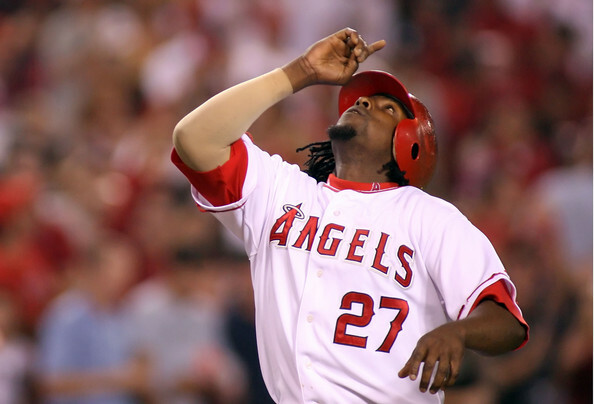 Teammate Erick Aybar says Guerrero is humble, likening him to a second father. In the course of more than 13 years writing for The Catholic Review, I’ve interviewed thousands of people. Only one asked to begin with a prayer. 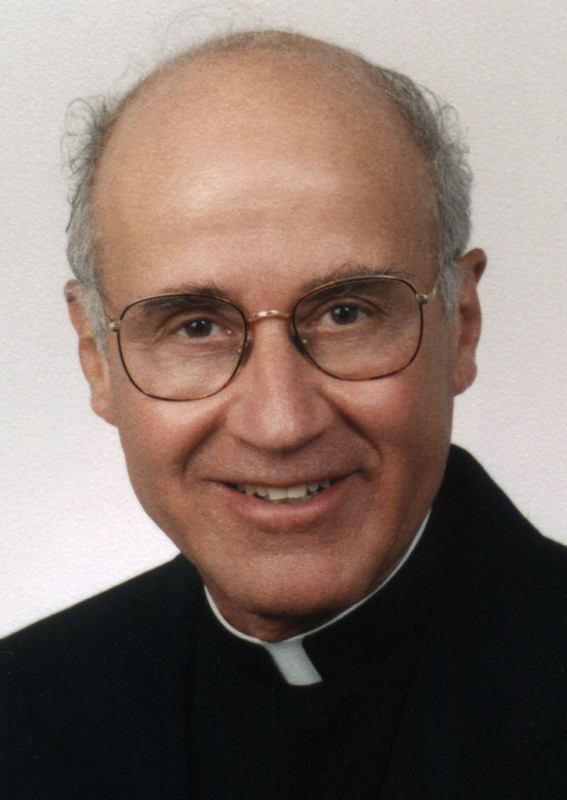 Monsignor Victor B. Galeone had just returned to Maryland in 2000 after leading a two-week archdiocesan mission to Gonaives, Baltimore’s sister diocese in Haiti. Before I could get out my first question, the humble pastor of St. Agnes in Catonsville bowed his head and asked me to join him. After making the Sign of the Cross, he prayed for God to bless the interview. He then called on the Holy Spirit to guide my questions and his answers. 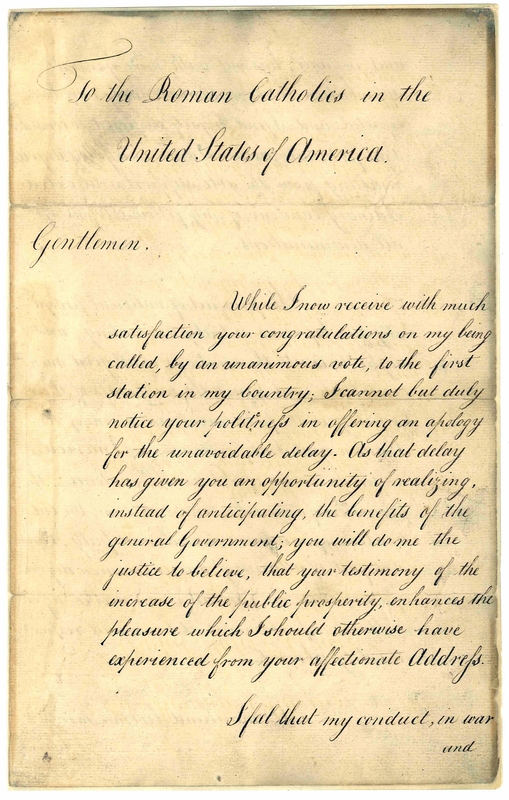 It was a simple, but powerful moment – one I’ve never forgotten. Although priests and parishioners had often told me of Monsignor Galeone’s holiness, that was the first time I experienced it personally. It seems Baltimore’s much-loved gift to Florida has fulfilled his mission. Bishop Galeone submitted his resignation letter to Pope Benedict XVI last year as required by Church law when he turned 75. A farewell Mass was celebrated in November. The Diocese of St. Augustine has posted tributes to the bishop – a spiritual leader unafraid to speak up in defense of human life, in support of marriage and in solidarity with the poor.